The Hoosier State contains prairie farmland and forests, the latter comprising about 20 percent of the land area, according to the Indiana Department of Natural Resources. Native pines grow in small bands or pockets, not in widespread areas such as in more northerly or easterly states where prairie wildfires never occurred. 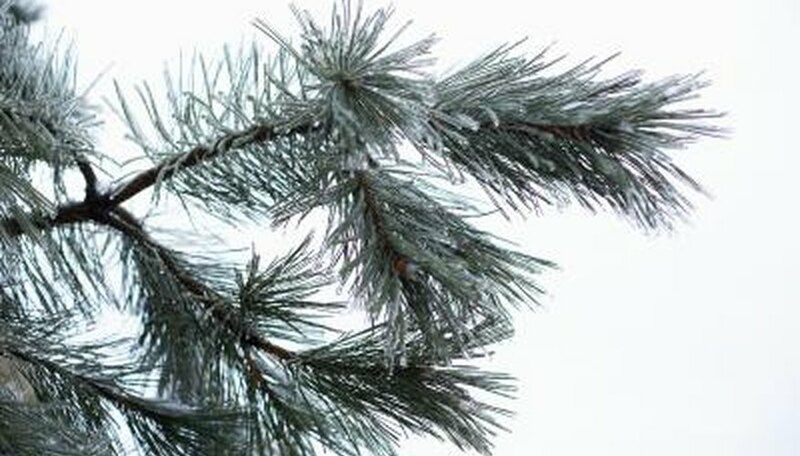 Although found naturally in only a few counties, these pine species adapt well and grow in other parts of the state as long as soil and climate is conducive for the tree's longterm health. A fairly common tall pine species in the northeastern United States, Eastern white pine (Pinus strobus) naturally grows only in a small area in the extreme northwestern counties near Lake Michigan and an isolated pocket in west-central Indiana. Suitable to grow anywhere in the state in landscapes basking in sun and with fertile, well-drained soil, Eastern white pine grows up to 100 feet tall and 20 to 25 feet wide with tiered branching. Its soft, flexible needles measure about 4 inches long and occur in bundled clusters numbering up to five. Brown cones, 3 to 6 inches long, appear on branch tips, often with a white pitch splattering the open scales. Jack pine (Pinus banksiana) grows more abundantly in the colder regions north of Indiana, but a narrow band of native trees grows along the shore of Lake Michigan. Jack pine trees tolerate cold and rocky, rather infertile or soggy soils well. Trees in Indiana typically mature to no more than 30 feet tall and about 10 to 15 feet wide. Look for needles in bundles of two on the branches. Each needle is short, measuring 1 to 1 1/2 inches long. The cones strongly curve when ripe, featuring a buff yellow to gray color, and point forward on the branch. As the name suggests, Virginia pine (Pinus virginiana) hails from the American Southeast, but a small native stand of this species grows in extreme south-central Indiana along the Ohio River. The lightly twisting needles tend to display more yellowish green color and measure 3 inches long. The needles occur in bundles of two or three. Virginia pine's cones turn gray when mature, and the scales bear a prickle on the end, making the cone sharp when stepped on or grasped. Old trees look flat-topped with sparse branching.